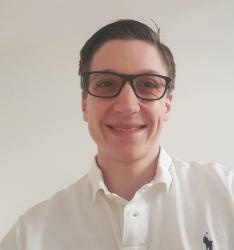 Maximilian is a Master of Finance student who represents Frankfurt School as an ambassador. The reader can probably interfere two distinct things from the aforementioned (albeit slightly modified) quote. Firstly, I’m a former political science graduate citing JFK. Secondly, the first semester curriculum of the Master of Finance is challenging for me. With zero exposure to finance and a total of three classes in economics and statistics I entered the Master of Finance here at FS. I’m writing this article to encourage you, who are probably in a similar position, to make the leap of faith and dare to change your career. I won’t elaborate upon the mindset, the prerequisites or the necessity of S.M.A.R.T. goals to perform such an exhausting challenge. Do your homework! I’d rather like to focus on the perspective of the school instead and show how they helped me to integrate within a bunch of smart business kids. But why finance? Like, I get it. Some quants probably can construct a proper story, but what about us poets? How do we fit in? Can we keep up? Important questions, but FS did their very best to help finding answers. Firstly, I’d like to elaborate upon the preparation courses. I’d highly recommend this! Within four weeks, you’ll get broad exposure to business and finance topics, in preparation for the first semester. FS certainly ensures that the covered content is not only on an entry-level but also highly relevant for progressing throughout your degree. Given that you’re browsing this website at the very moment, chances are that you want to craft a fulfilling and rewarding career. For that, you better go get some work experience because that’s what is ultimately important. (Besides stellar grades, a proper network, a fair amount of soft skills and the right work ethic. But I’m digressing again.) Luckily, FS can help out. That’s because the school features a really important department, namely the career service. Not only that they review your CV in a personal appointment, maintain FS very own job-platform “Jobteaser” and invite practitioners on an ongoing basis – they also organize the infamous career fair. In 2018 over 107 (!) companies attended Frankfurt School for a day to connect with academia, network with alumni and recruit new talents. The atmosphere is very special, and you can feel the professionality and the spirit thriving just by walking along the booths. For now, let’s assume you did great on the aforementioned fair and managed to secure a student trainee job. Great news, now the painful process of adapting your university schedule to your work schedule begins, right? No, plain wrong! FS designs the MiM and MoF and MADS programs in such a unique way that allows you to attend class on three days (Mon/ Tues / Sat or Thurs / Fri / Sat), while working on the remaining days. Basically, the best combination of both worlds, academia and corporate Germany.